2007 Crest Savannah 25 LST 50th Anniversary I/O Tritoon (25' X 8'6"), MerCruiser 350 Magnum MPI 300HP B3, 2013 Mid America tandem wide axle trailer with brakes. 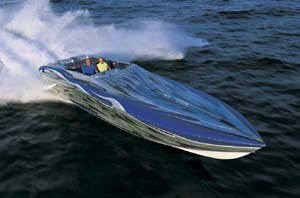 This boat is White with Gray and Rose graphics. The floorplan Has a double wide drivers seat with wet bar and sink, stove & 12V blender built into the front of the console With a 12V refrigerator/cooler below. Across the driver is an L-shaped aft bench seat with pop up privacy Enclosure and large sunpad. 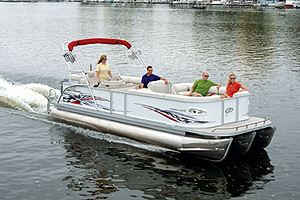 Up front are (2) large bow loungers and an island table with cooler storage inside The base. 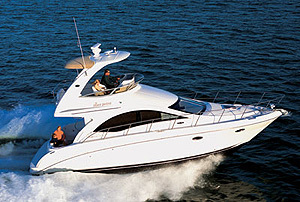 Helm features include tilt wheel, in dash digital depth finder, full instrumentation pkg. and Clarion Satellite ready 200 Watt CD Stereo with AUX input. Other features include docking lights, dual battery system With switch, SST ski tow eye, under floor ski storage, LED courtesy lights, SST Bimini top frame, SST counter Rotating props. 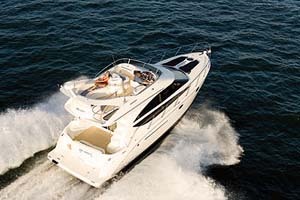 This boat is in nice condition with 433 engine hours use.